Peaches are great ingredients for pies, cakes and bars. It is also an ideal flavor for fruity drinks during hot summer days and cold winter nights. Get a taste of the sweet peach all year round with our delectable Peach Powder in 3 lb packs. 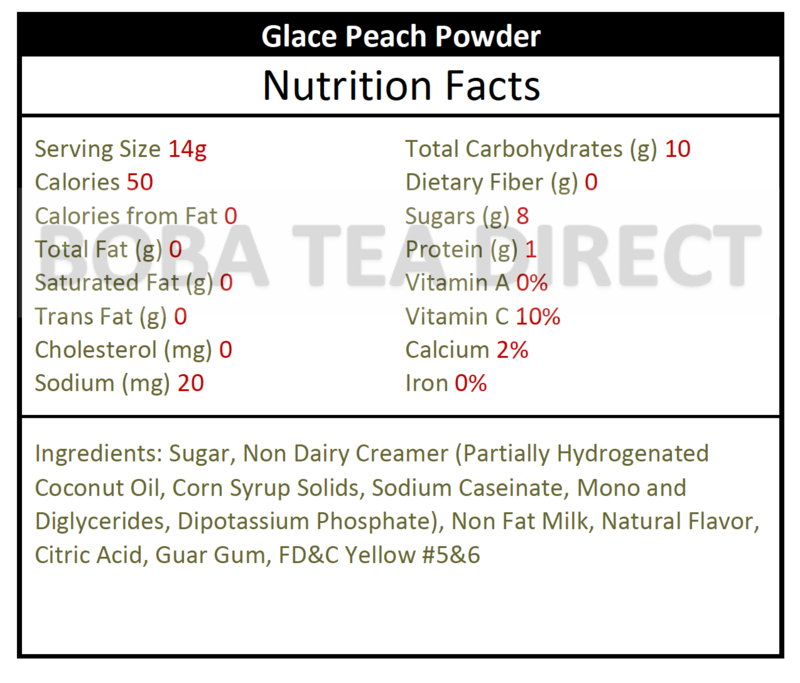 Each sip of your peach smoothie or latte made with this tangy powder tastes like biting into the juicy real fruit. Like this item? Try our Glace Black Milk Tea! No need for fussy preparations, you can easily create the tea that you prefer.